I wanted to create a fast and easy way for my students to access photos. With Google moving away from Picasa and toward G+ for photos, I needed a way to easily give students access to class photos. By creating a shared folder called "Photos for Room 13", I only have to create share settings once. Now when I have new photos to give to my students, I just have to add them to that folder. I did not spend a lot of time explaining shared folders. You can watch the video Managing Shared Folders for more information. When Do I Use Photos From the Shared Folder? 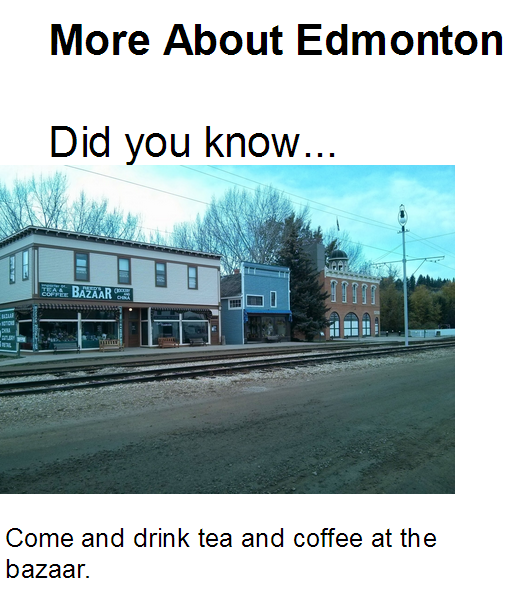 My students created a brochure on Edmonton 100 years ago. They needed to put pictures in their brochure along with their sentences. Many of their great ideas did not have suitable (easy to access) images to go with the topic. So I shared the photos from our class field trip to Fort Edmonton Park where many of the buildings were things they wrote about. 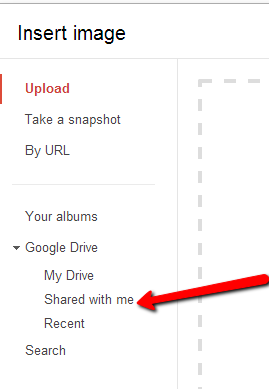 Using the Smartboard, I demonstrate how they go to the image icon and then they select "Shared with me" under Google Drive. During Halloween I took photos of all the students. So I put the photos in the class "Photos for Room 13" shared folder and put the link on SchoolZone. More recently I took photos of students sorting by two attributes. It is a tough skill to master and I wanted to visually show parents on SchoolZone what it would look like. 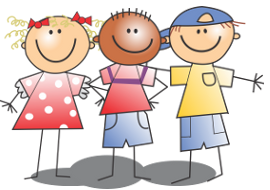 I uploaded one photo to SchoolZone and then put the rest in the "Photos for Room 13" folder with a link in the SchoolZone entry. Try it for videos too!